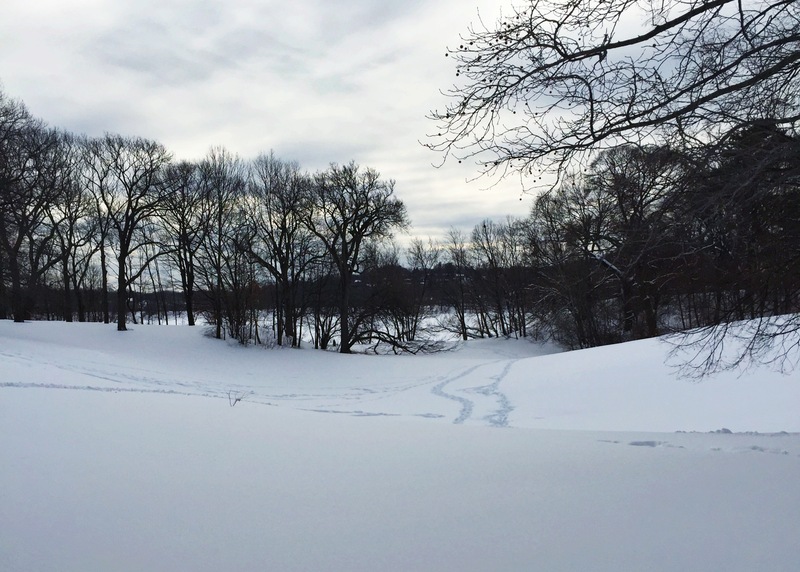 It’s been quite some time since I last blogged…blaming Boston’s snowpocalypse is an option, but it doesn’t fully excuse my 2-month hiatus. It’s not for lack of cooking, since this kind of weather is the perfect excuse to whip up copious amounts of chili, stew, and stir fries to keep warm. As we near March, I plan to shake off these winter blues and jump back into blogging. For those enduring the snowy onslaught in the Northeast, here are two hearty slow-cook dishes to enjoy: a Classic Beef Stew and a Lentil and Chicken Sausage Soup. 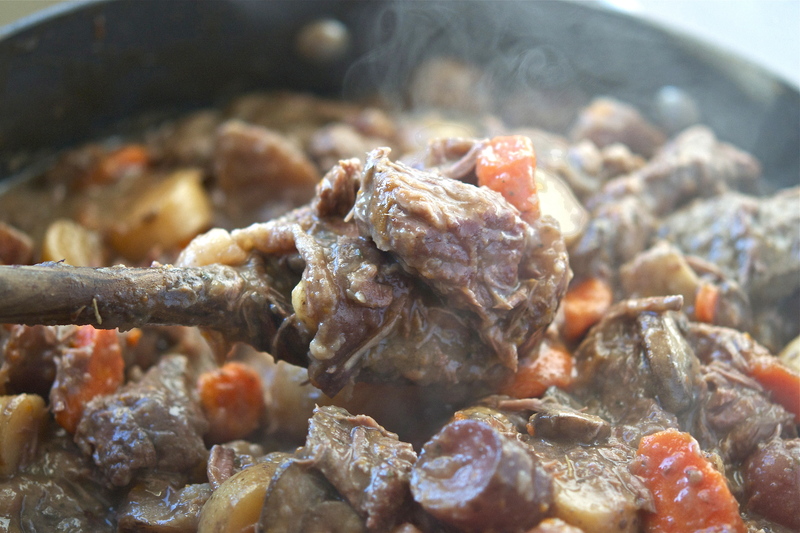 Let’s start with the beef: my boyfriend Tom challenged me to make an old-fashioned stew, and I came up with this recipe: it’s extremely simple to make, yet packed with complexity and flavor. These tri-colored potatoes added character the stew, but you can use any root vegetable of your choosing. The starchier the better, since it will help thicken the stew as it cooks. 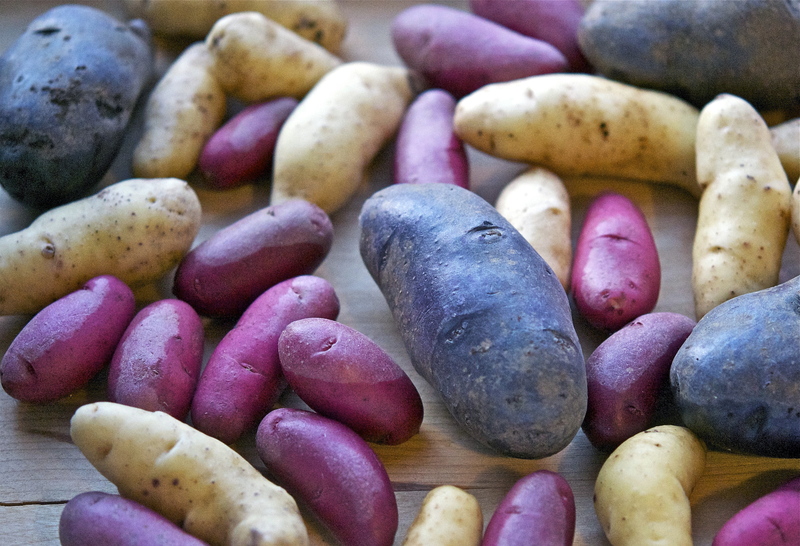 The blue potatoes have become one of my favorite add-ins for stews and roasts alike. What I love most about chuck is how tender it becomes when cooked slowly. 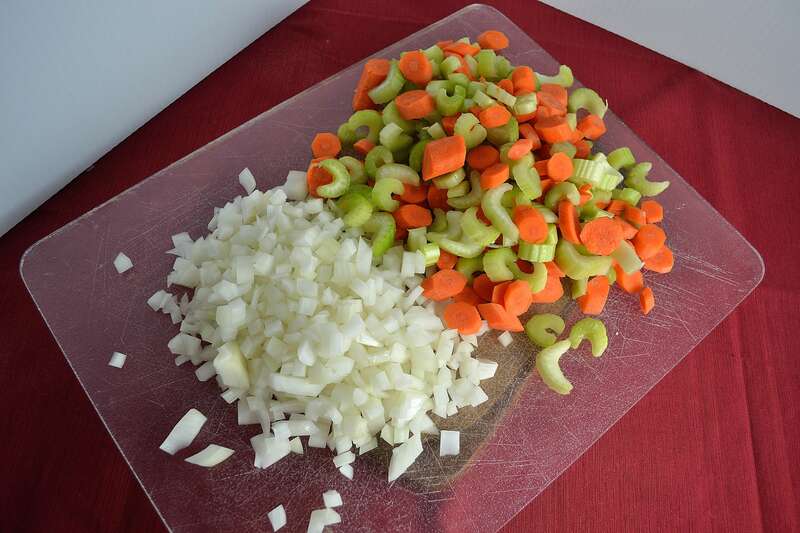 While you may be tempted to opt for another cut, there really is no replacement when it comes to stews – chuck will give you the best results. I cooked this in my trusty slow cooker, on low for about 6 hours. As is always the case with stews, it was even better the next day. With record low temperatures and snowfall, this recipe is a surefire way to warm up at the end of the day. Click HERE for the recipe. I’ve always wanted to try a “lentil and sausage” stew, but am honestly not a huge fan of sausage. My solution is to substitute chicken sausage wherever possible, and I have somehow convinced Tom to opt for it as well. To match higher demands for healthier products, stores have been stocking a remarkable array of flavors. 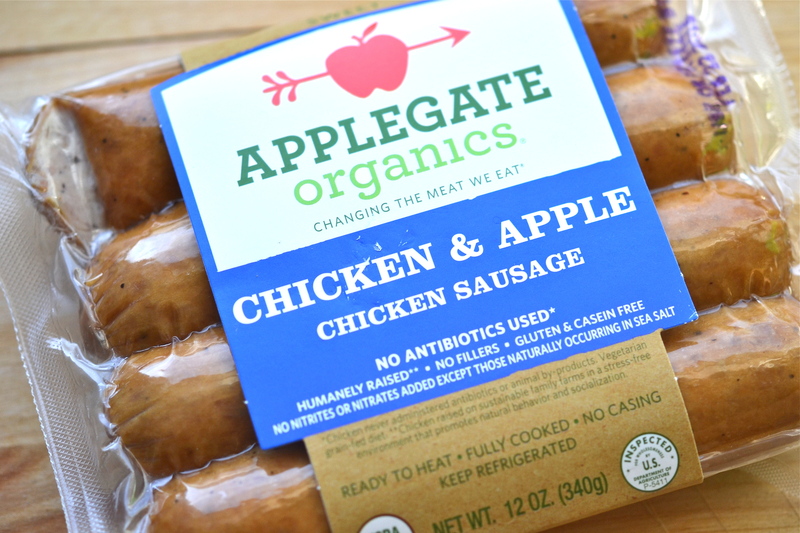 My personal favorite is Chicken & Apple, which is perfectly suited for the purposes of this recipe. 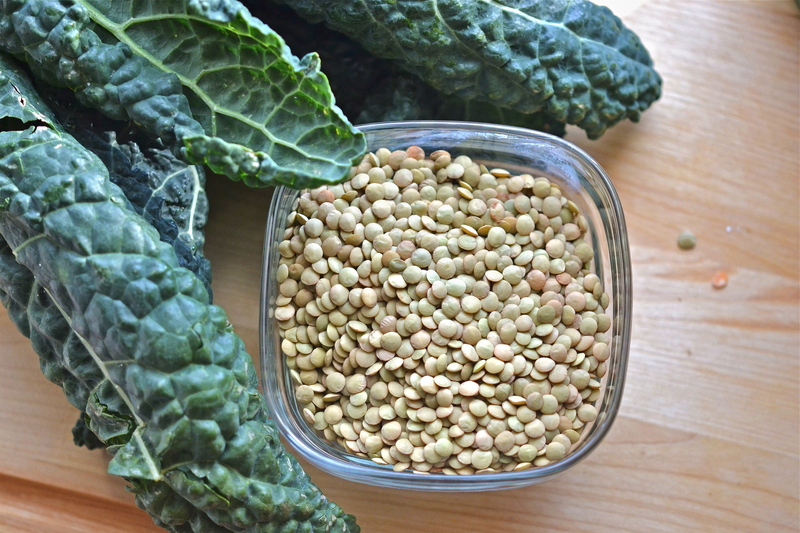 The lentils and kale are the real powerhouses in this soup, respectively providing a healthy dose of potassium, folate, Vitamin C, fiber, copper…to name a few. 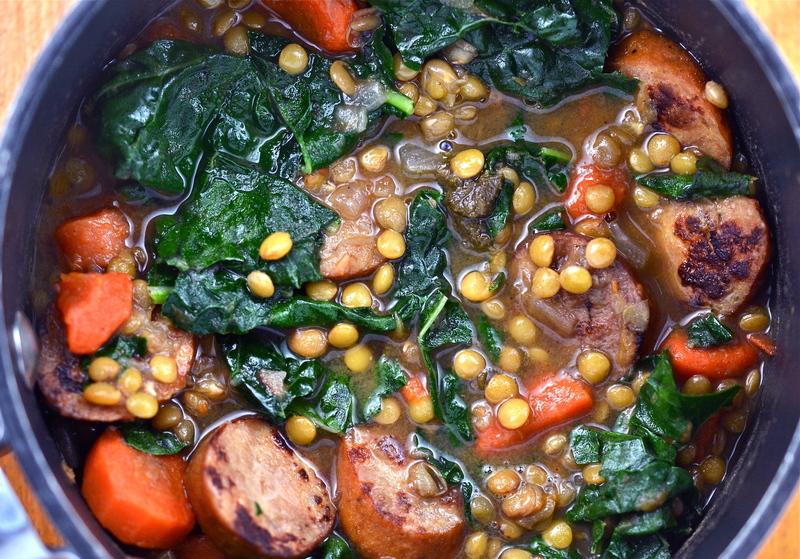 You can use any leafy green or legume, and (if you’re a pork fan) feel free to use regular sausage as well. 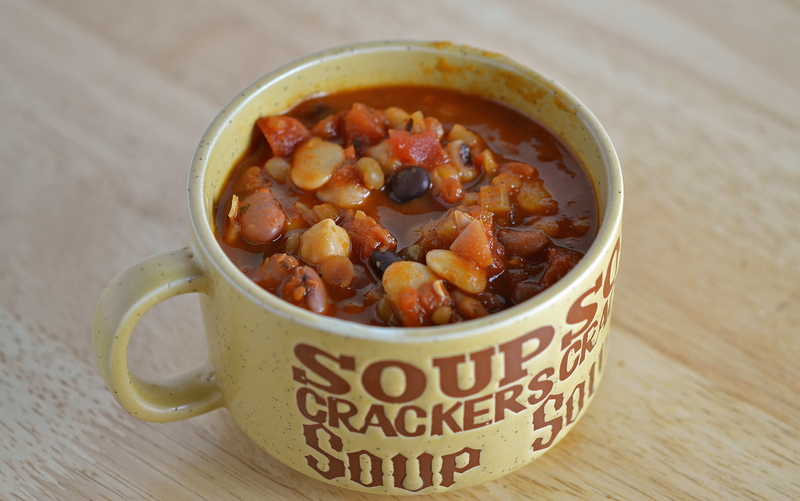 I cooked this soup in the slow cooker for about 4 hours on “high,” and the result was a flavor-packed meal to warm a cold, snowy night. 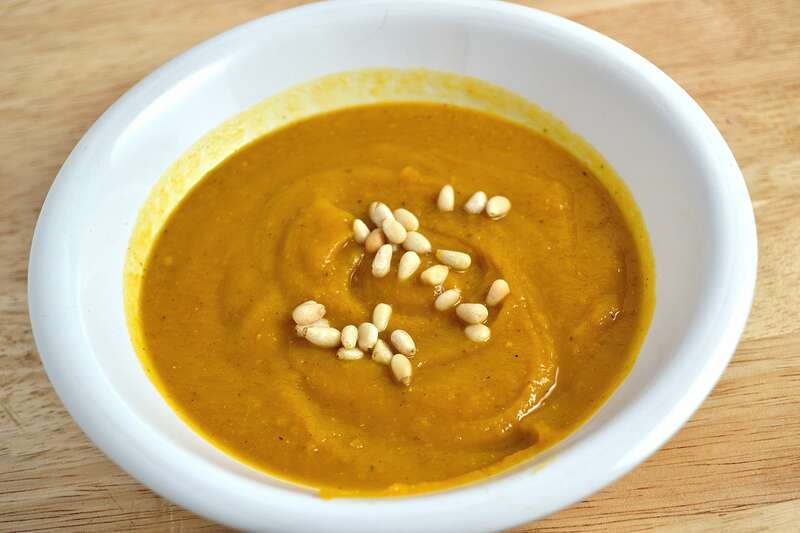 Click HERE to see the recipe for this savory soup! This winter has not been an easy one for Boston: trains have taken a turn for the worse, sidewalks are nearly impassable, cars are buried beneath feet of snow, and the city’s patience is as thin as ice (pun intended). Yet winter is, at it’s most basic level, quite beautiful. Watching snow fall can be an experience that is both magical and nostalgic. Even as we pile on layers of clothing and trek through slush, our eyes drink in the sights of blanketed fields and frosted trees. For my musical pairing, I wanted a piece that would mirror both winter’s serenity and Boston’s constancy. I ultimately chose Schubert’s Impromptu in G-flat major Op. 90 No.3. The piece is remarkably gentle, with triads cascading like snow and a melody that floats above a peaceful landscape. The emotions in the music speak to what I am certain many a Bostonian has endured this winter: moments of triumph, silence, frustration, melancholy, and acceptance. The recording below features the piano virtuoso Vladimir Horowitz. What I love most about his interpretation is its patience, allowing the music to breathe and grow with each phrase. In this type of weather, patience can be difficult to muster – but spring is just around the corner, and soon we’ll be looking back on the “blizzard of 2015” with a sense of understanding and resolve, because we’ll have made it through this. Cooking for “one” can be a challenge – how to make a satisfying, creative meal that won’t break the bank? I had heard about the genius of roasting an entire bird to provide a week of meals, and thought I’d give it a shot. I bought an organic bird, brought it home, and was ready to roast…having totally forgotten that onions, carrots, and celery…bummer. I did have some scallions, an orange, and ginger, so that fact that this Szechuan Roast Chicken used all three was too good to be true. The key ingredient to this dish was also a total stroke of pantry luck: about a year ago, I had spotted these small peppercorns at a farmer’s market and bought them on a whim. They have since been sitting in my pantry, forgotten and tucked away in a dark corner behind the countless spices. This was a great way to finally put them to use, and I guarantee they will never sit unused again – while the hulls of these seeds are often used in Sichuan cuisine, it grounded seeds are most commonly for use in Five Spice Powder mix. 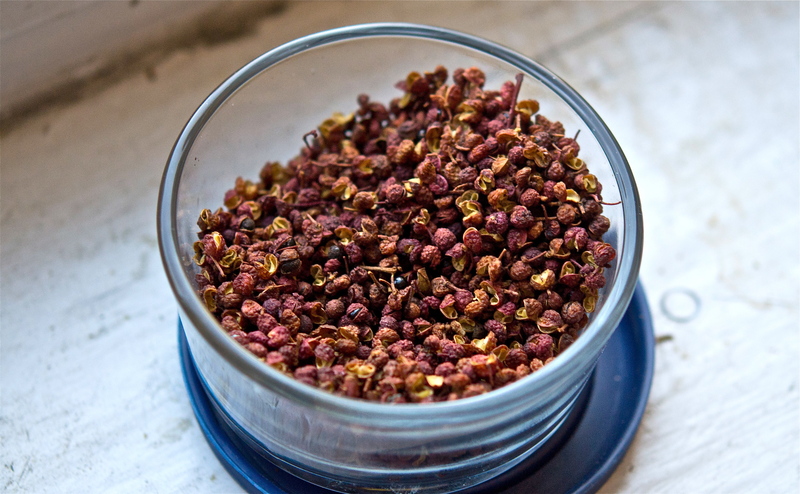 Unlike it’s black counterpart, Sichuan peppercorns have a lemony taste that actually induces a tingling, numbing sensation when eaten…don’t let that deter you! They are totally delicious. 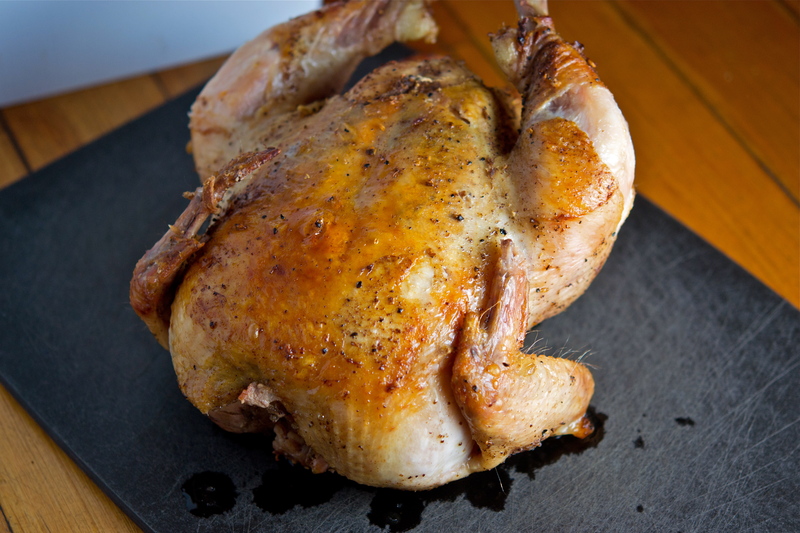 So I roasted this chicken and WOW was it good! So moist, and the flavor of those peppercorns really shined…this can easily be an impressive dish for any dinner, or simply an indulgent undertaking for one 🙂 Click HERE to see the recipe! Of course, I’m what you might call a typically “small” person, and wasn’t about to wolf down this whole bird. I ended up creating two soups (time of year!) that were outrageously delicious – first up was the Southwestern Chicken Soup. It had sweet potatoes, black beans, and a whole lotta character! 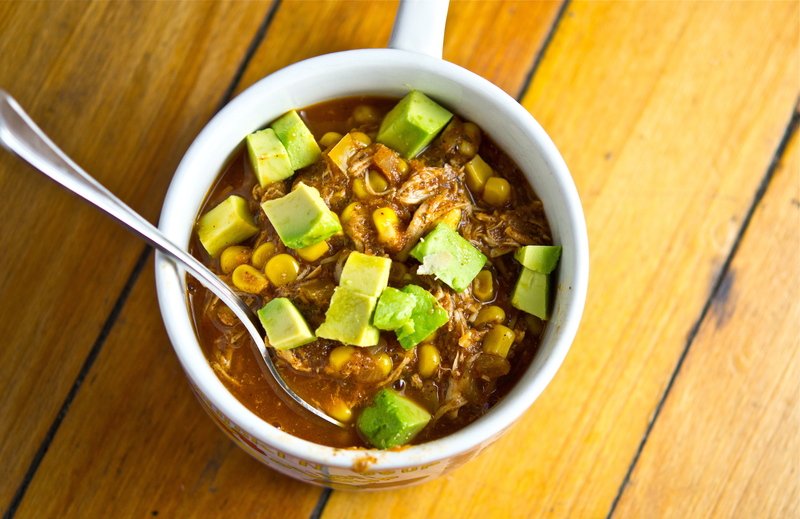 I used the chicken’s dark meat in this soup, and added canned chipotle peppers with adobo sauce to make this soup a real winner. The amount of liquid needed may vary based on your pan or stove, so keep watch. 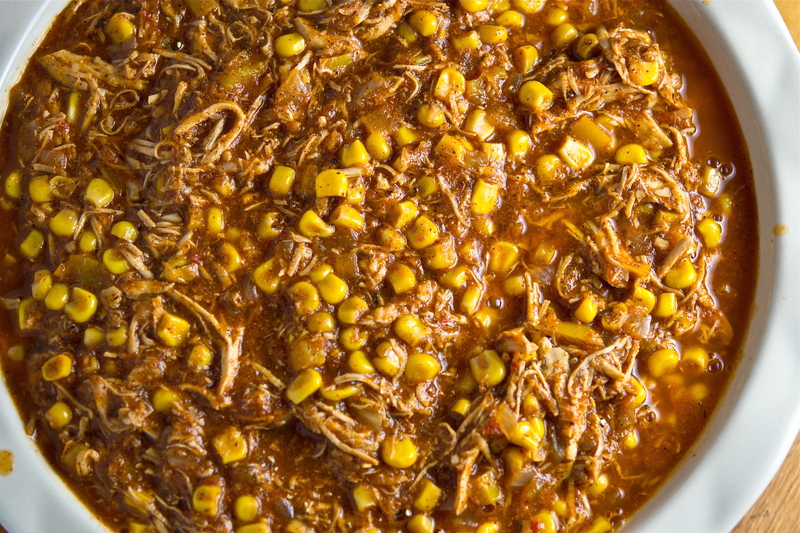 The Chicken and Corn Chili was next – it was full of spice, and everything you could want in a chicken chili. It’s not your typical “white” chili considering it uses tomatoes, but I thought it made for a beautiful (and delicious) alternative. Both of these soups freeze beautifully, and can be storied for a later date. 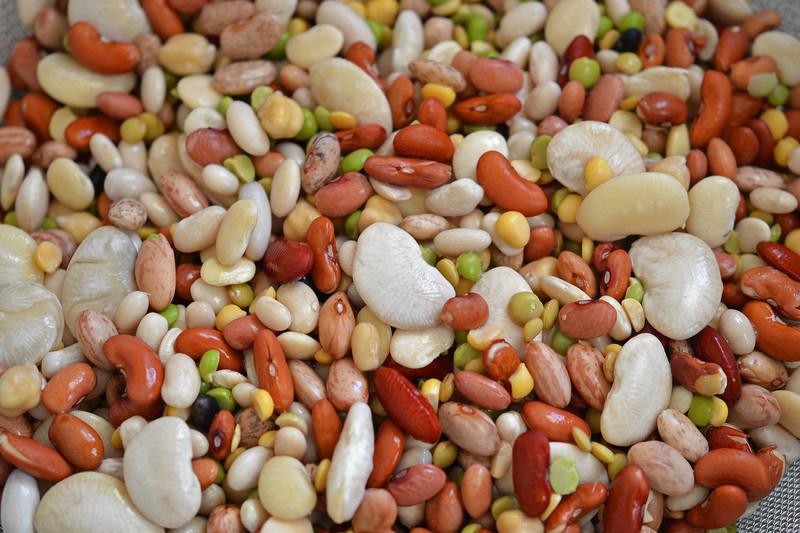 They are also totally modifiable – you can sub in white or dark meat, make them vegetarian-friendly (adding more beans or a grain, like rice), and can be as mild or spicy as your little heart desires. What’s wonderful about soups, in general, is that you can top them with basically anything – avocado, croutons, cheese, roasted chickpeas (ok, that might be too fancy for chili!) Whatever you decide, you can’t go wrong with these two recipes – enjoy! By a strange anomaly, the beloved image never presents itself to the artist’s mind without being associated with a musical idea, in which he recognises a certain quality of passion, but endowed with the nobility and shyness which he credits to the object of his love. This melodic image and its model keep haunting him ceaselessly like a double idée fixe. It is also noted that our protagonist is “gifted with a lively imagination”, which only fuels his delirium after he “poison(s) himself with opium in the depths of despair” The idée fixe becomes a recurring torment, changing and shifting in character as the Artist continues his maniac descent; yet the passion remains of his love remains. The concept of a motif that changes and adapts based on the “Artist’s” influences (in my case, my recipe choices) was all too perfect. The below recording is with Leonard Bernstein, and (given the length of the work) is in several parts on the site – I hope you enjoy it! I’ve been on a hearty stews kick, a reasonable trend given the bitter cold of late. Yet every now and then I lose the patience needed for preparing these dishes, wanting a dish that can pack just as much flavor for a fraction of the time. Though there is really no substitute for time, there are quality shortcuts that mirror the tastes of the more time-consuming varieties. Enter this beauty – ready in under 30 minutes, even you may be fooled into thinking this Cajun 15-Bean Soup took hours to cook. This recipe was probably one of the first dishes I ever made on my own – little history fact, my culinary interests weren’t realized until my second year of college. Prior to then, pre-prepared dinners and the microwave were my specialty (commence moment of shock). When I went vegetarian, I realized that cheese sandwiches just weren’t going to cut it, so cooking became a means of survival. 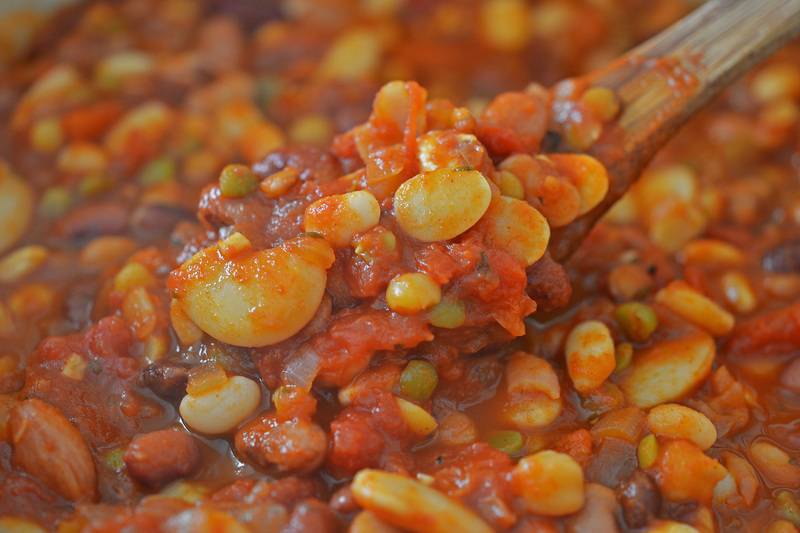 My mom introduced me to this bean mix, and the recipe included here is the product of multiple trials. This variegated collection is packed with nutrients, and is SO easy to prepare. You can essentially add anything, from sausage to saffron. The recipe on the back of the package calls for a ham hock (and normally includes a spice packet, which I don’t use) – while I am all about that flavor, I wanted something that could be equally as flavorful for half the price. 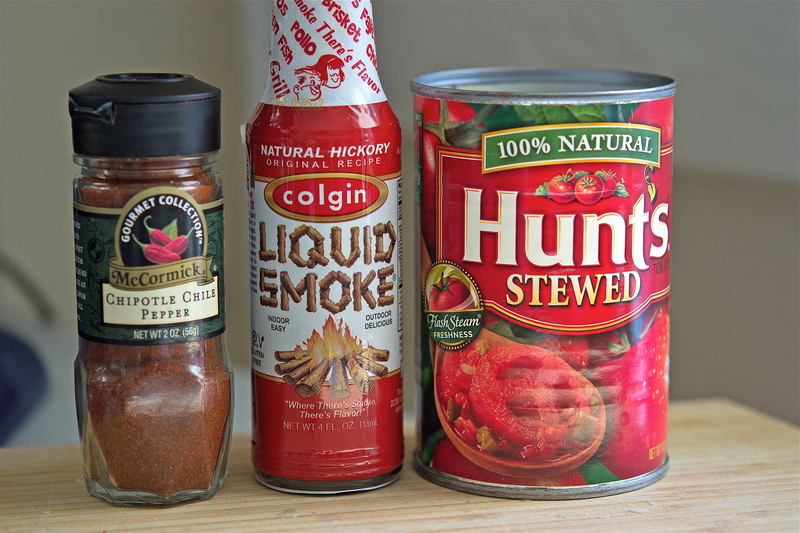 Enter this recipe’s trilogy of secret weapons – chipotle chile pepper, stewed tomatoes, and liquid smoke. Chipotle is in and of itself a unique flavor – it adds a smoky, peppery element to the soup that traditional chili powder would lack. The stewed tomatoes are key – they give off the impression of a stew that’s been simmering away for hours, a depth normally achieved by the ham hock. Most important of all three is the liquid smoke – as real smoke that has been bottled in a liquified form, it adds a great finish that perfectly masks the lack of meat. Trust me, you won’t miss the ham one bit – click HERE to see how to make this delicious soup. 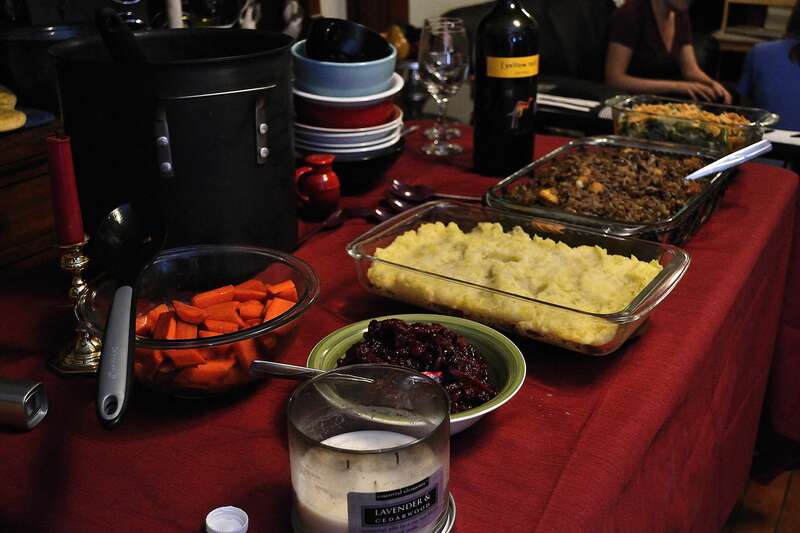 Leftovers, for many, are some of the most treasured meals post-Thanksgiving. My refrigerator was stocked to the fullest for several days with tupperware, extra ingredients, etc. In normal circumstances, this would be a very welcome scenario. Unfortunately, my energy was entirely drained after hosting Thanksgiving for a sizable crowd. That being said, there was no way I wasn’t about to indulge in a leftover party with friends. 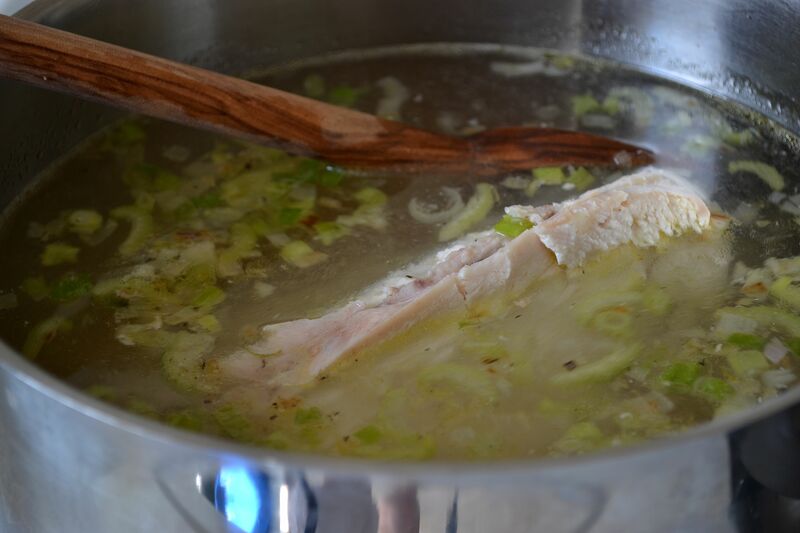 Remarkably, there was hardly a shred of leftover turkey meat; yet I still had a huge turkey carcass to deal with…which of course led me to making a delicious, filling stock for leftover Turkey Soup. 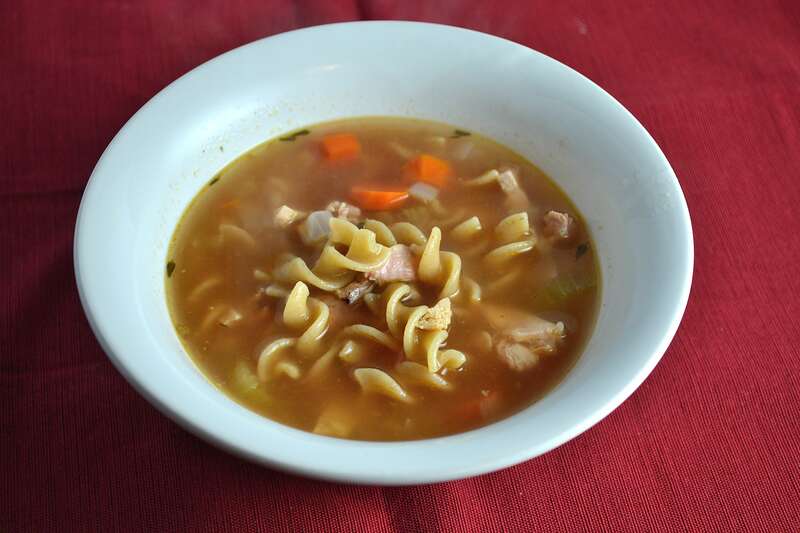 As I mentioned, we had NO turkey meat left – you can certainly make turkey soup with nothing more than vegetables and noodles, but the thought of a meatless turkey soup seemed silly. If you also happen to find yourself in this predicament, there are a few options. The first is to go with the obvious substitute, chicken – though it won’t have (quite) the same taste as turkey, the broth will still be plenty flavorful. You can also buy cheap turkey parts – the day after Thanksgiving, stores are desperate to shed all those extra “turkey pounds,” and will have pretty good sales on wings, legs, etc. (just talk to your butcher). 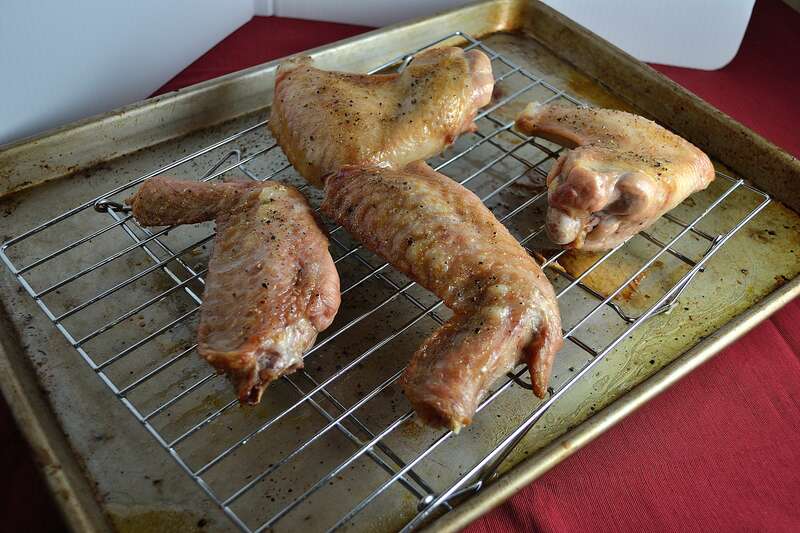 I went with the latter and bought turkey wings that I roasted for about 45 minutes at 375 degrees. 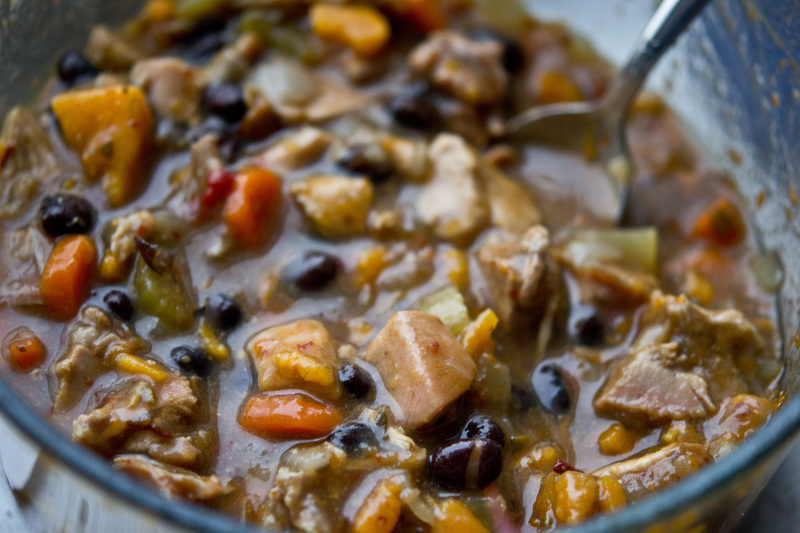 Turkey soup has the same basic principles as chicken soup – the only difference being that, while chicken soup can be prepared with a fresh or leftover chicken carcass, turkey soup is far more practical as a post-turkey meal option. 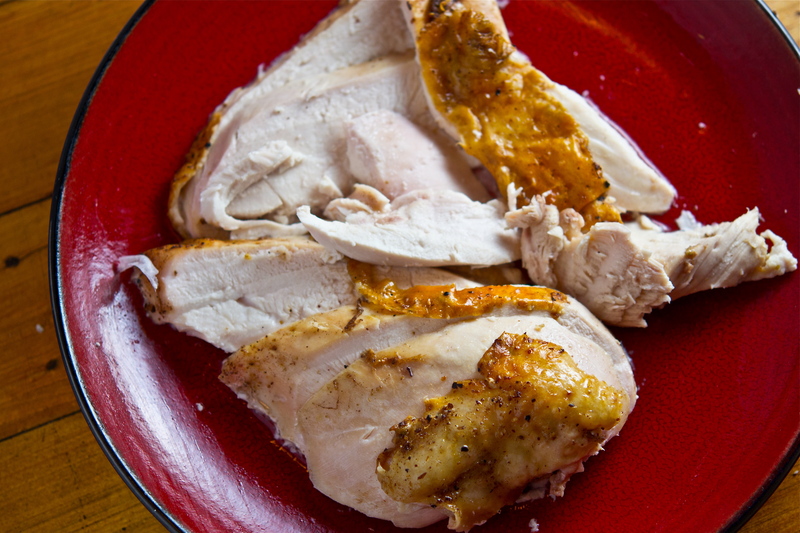 You can certainly go purchase individual turkey parts to create your own stock, but it makes much more sense (and yields way more flavor) if you use an entire carcass. It’s also a lighter follow-up to all the indulgent Thanksgiving dishes you had two (or three) servings of the day before. To see how I made this delicious, heartwarming soup, click HERE. For this musical pairing, I wanted to bring the attention back to my Mahler pairing from the Roast Turkey post. Mahler’s music was relatively obscure until the 20th century, and part of this revival was thanks to the conductor Leonard Bernstein. He recorded the first full cycle of Mahler’s nine symphonies, placing the music of Mahler back in the limelight. So with that, I thought it would be nice to showcase a piece by the conductor (also a composer) who helped “bring back” Mahler, and went with Bernstein’s Symphonic Suite from “On the Waterfront.” Composed in 1955, this suite is based on the film score for the Marlon Brando classic. Bernstein would commence a Mahler Festival with the New York Philharmonic 5 years later – enjoy! 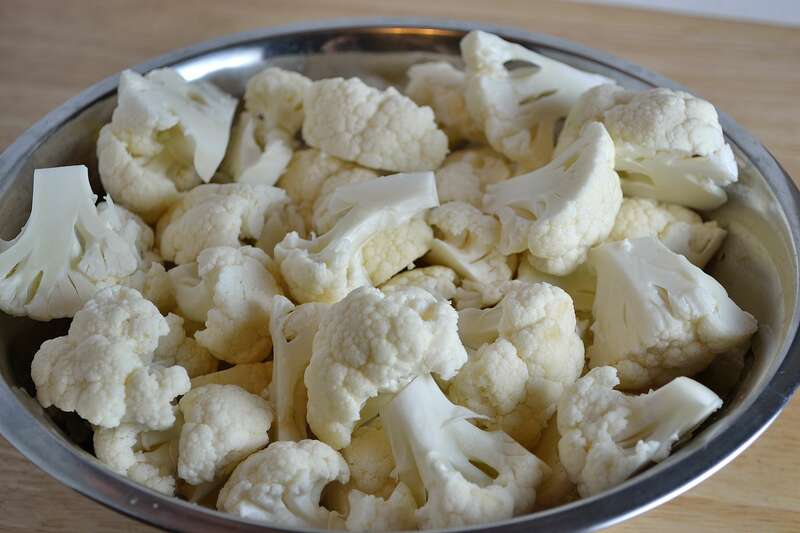 Cauliflower and squash – these seasonal crops can be rather uninspiring when taken at face value. Yet it is this very insipidity that provides a perfect blank canvas for some truly amazing dishes. The other night I hosted a “girl’s night in” with two very close friends of mine – these evenings are often characterized by simple eats, bubbly drinks and thoughtful conversations (with the occasional touch of meaningless gossip, of course). While the latter two require minimal effort, I focus the majority of my planning energy on the first. Simple doesn’t meaning flavorless, in my world, so I tried to showcase dishes that give the most bang for the buck. With the right amount of spice, these two did not fail to please – Curried Butternut Squash Soup and Cumin Seed Roasted Cauliflower with Salted Yogurt and Pomegranate Seeds. 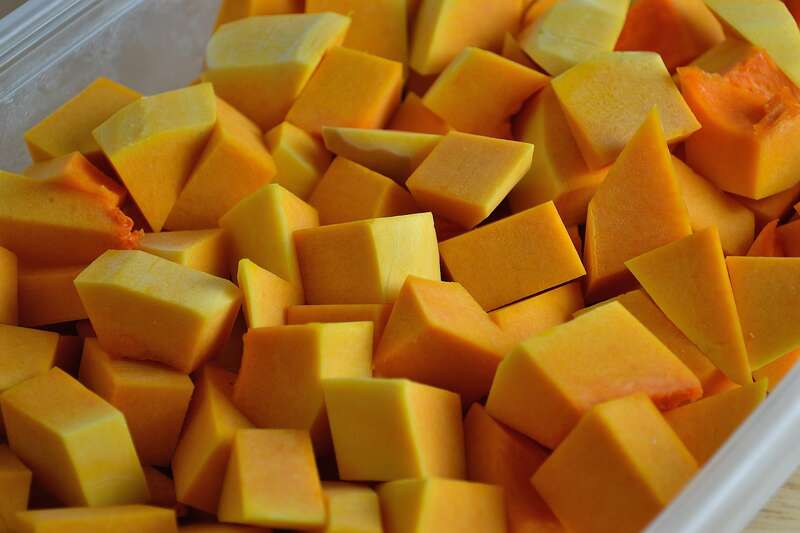 I should give butternut squash more credit, perhaps – it is one of my favorite winter squashes. it achieves a taste that’s somewhere between a sweet potato and pumpkin. Roasting is the most common preparation, which helps deepen its natural sweetness. The term “winter squash” pertains not to its growing season, but to its ability to withstand storage (post-harvest) during colder climates. This is thanks to a tough outer skin (as opposed to the thinner skin of summer squash), allowing us to enjoy this hearty squash year-round. This soup gets a boost from a potpourri of spices – a potent mix of curry, cumin and mustard seeds. 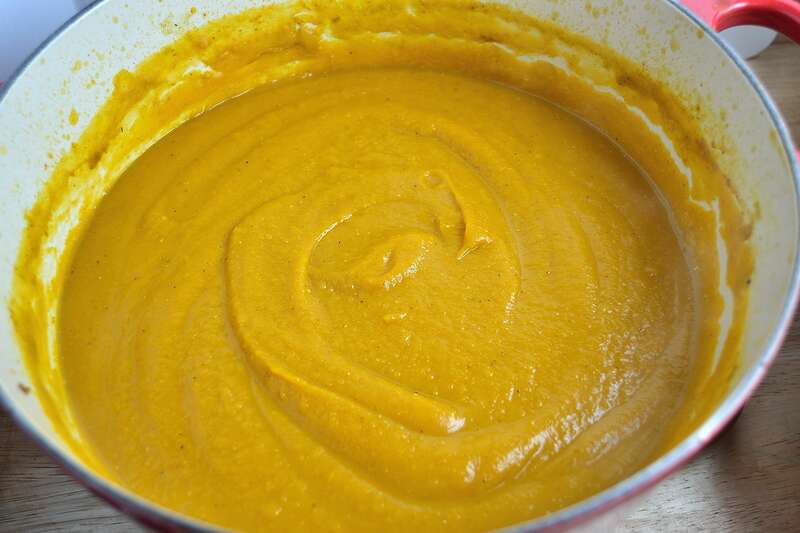 What I like about this recipe is that its creaminess relies on the squash (rather than cream). Using a blender or processor works great, but I am a personal fan of immersion blenders (less mess = happy Anne). Any who, this soup is wonderfully simple yet beautifully flavorful. If you are looking for a quick dish that packs a LOT of flavor, this is it – click HERE to learn how to make this flavorful dish. The pomegranate – as beautiful as it is sweet, this fruit has held symbolic relevance in a number of cultures. Whether signifying authority, death, or fertility, this fruit has a number of connotations. Aside from its aesthetic (and suggestive) references, the pomegranate is also endorsed for its health benefits. That being said, it’s no picnic to peel – I suggest opening the fruit in a bowl filled with cold water (prevents stains AND assists with peel removal). This dish was beyond amazing – it was fantastic! 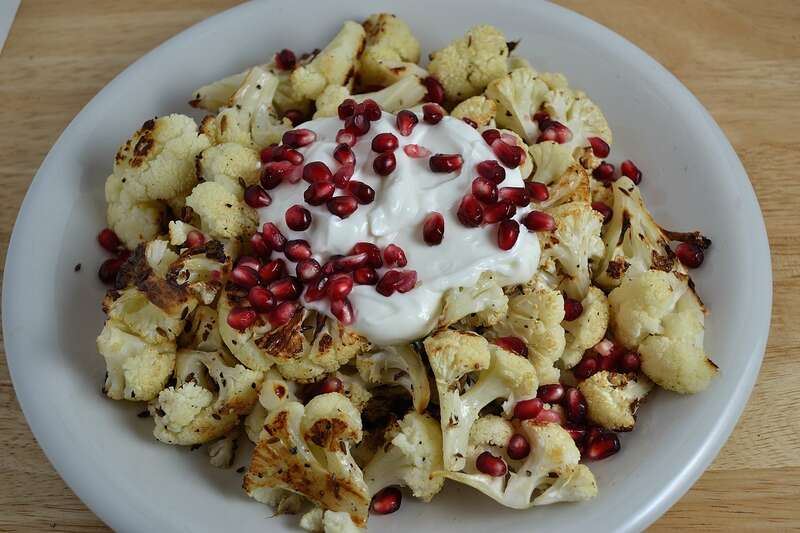 Roasted cauliflower on its own is one thing, but paired with cumin, pomegranates, and yogurt?? Well, let’s just say you’ve found your new side dish “candy.” With a spicy edge and sweet touch, this dish has it all. 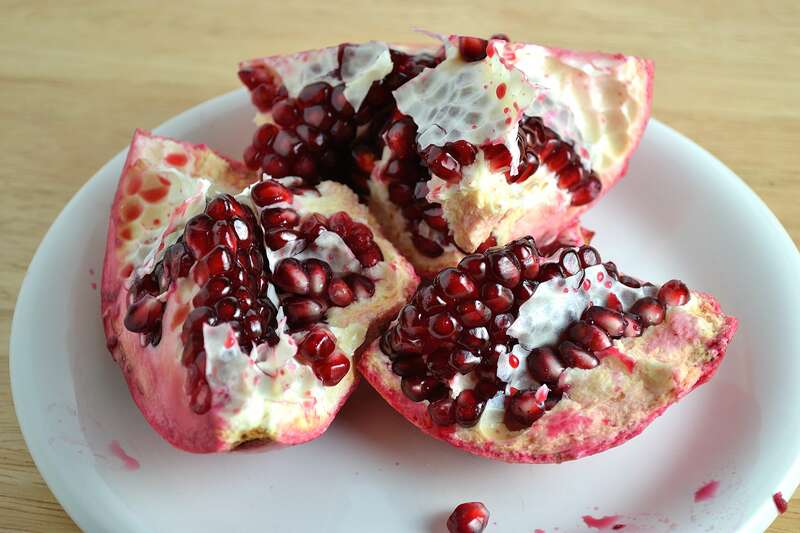 The yogurt is a creamy (yet healthy) garnish, and the pomegranate seeds add a beautiful finish. Don’t hesitate on making this fabulous recipe – click HERE to learn how. In researching the ingredients of these two dishes, I discovered a shared trait between them – both have ingredients that are commended “aphrodisiacs,” being the curry and pomegranate. This led me to a very obvious selection: Danse Bacchanale, a fiery dance from the opera Samson et Dalila, by Camille Saint-Saëns. While I’m not necessarily affiliating love with the blatancy of the bacchanalian character, the passion of this work certainly lives up to the spices and flavor of these dishes – enjoy! While I enjoy the beauty of gourmet cooking, there are times when all you want is the simple comfort of chicken soup. Such was the case this entire past week while I’ve been healing from surgery (hence my absence from the blogging world). My stepmom was a huge support, helping me get through the toughest stages of post-operative recovery (nearly 5 days). Her chicken broth was a lifesaver (as were Triscuits, but that’s beside the point). 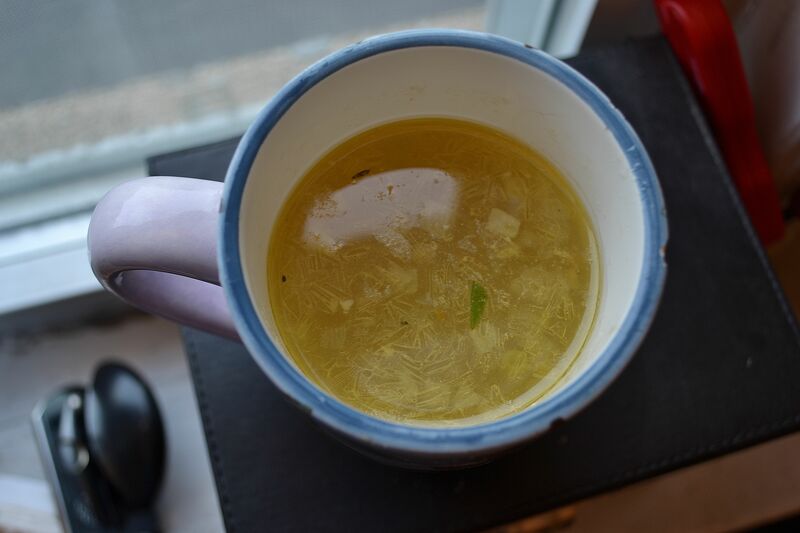 There are a number of ways to make stocks, but this Homemade Chicken Broth was the most delicious comfort I could ask for. This broth is the perfect cure for days when the sun doesn’t seem quite as bright. 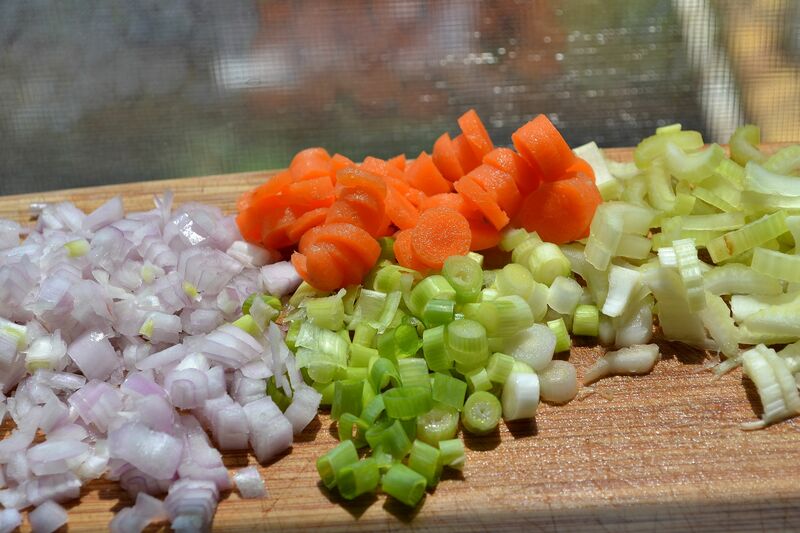 All that’s needed is a whole chicken breast (skin-on and bone-in), a simple mirepoix (or combination of minced vegetables), and water – that’s it! It’s the perfect base for soups, sauces, casseroles, etc. In my lousy state, I enjoyed this broth as is with some crackers and vegetables on the side. Click HERE to see my stepmom’s perfect remedy for sick days. To commemorate the simplicity of this broth, I wanted to choose a musical piece that evoked similar feelings of nostalgia. When I was younger and had trouble falling asleep, my parents would bring me a small wind-up toy with a melody to gently lull me to sleep: Beethoven’s “Für Elise.” One of Beethoven’s most famous works, the actual title of the piece is Bagatelle No. 25 in A minor for solo piano. * This work has been realized through countless transcriptions and has influenced a number of pieces, much like the varieties and styles this simple stock can assume. Given the work’s fame, I was only able to find a generic recording on YouTube (with no artist listed). While I imagine most everyone will recognize the theme, I’ve included it nonetheless – enjoy!